Nigeria’s department of state services (DSS) in sting operations last Friday arrested some senior judges suspected to have engaged in bribery and large scale corruption. However, seven of the judges have so far been released. CNBC Africa’s Esther Awoniyi caught up with Professor Konyin Ajayi (SAN), Managing Partner at Olaniwun Ajayi for more insight on this. Help us make sense of what’s going on here, seven judges arrested in sting operations last week. They have since been released. The government tells us that about $800,000 was found in cash on these judges. Shed some light on what is unfolding here. AJAYI: What seems to be unfolding is the fight against corruption and I think any well-meaning Nigerian and indeed any decent citizen will be in full support of the war against corruption because it is actually killing us. Having said that, I am not sure that the DSS was engaged in any sting operation and we are not sure yet what this is really all about. What the papers say now is that the judges were released within a day or two on self-recognitions. Now what we know is that anyone that is released on self-recognition is someone who is not dangerous, someone who would not run away, tamper with evidence or pose a danger to the State. So if the DSS knew that these were people that could be released on self-recognition you begin to wonder, why go to their homes as if you were trying to catch Bin Laden or El Chapo, or one of the worst criminals in the world. These were men with an average age of 65, with no guns or ammunition, with nothing but books. So you being to wonder, why would you go to their homes at midnight with up to fifty men wearing masks and bearing heavy guns to invade the homes of judges? The way many of us see it, is that Nigeria is going through terrible economic times and we need all the forms of assistance we can get. We need to build our businesses, and we need investment both domestic and foreign. There is a newspaper report that said the National Judicial Council rejected any investigation into the judiciary citing separation of powers and the rule of law they also said that it is not amenable to invitations being extended to judicial officers by departments and agencies of government for any reason. What is your response to that? AJAYI: I am not sure that is true, because as a matter of fact, within the last 30 days, the National Judicial Council (NJC) dismissed a judge and handed him over to prosecution agencies. So it is certainly not true that the NJC doesn’t want judges to be dealt with in accordance to the law, all the NJC says, and what we should call for is that we should comply with what the constitution says, and the constitution says that when there is a case against a judge, he is disciplined or dealt with first by the NJC and then you can do what you need to do. The very same way in which when police officers do wrong they go to what is called the orderly room trial, they’re dismissed and then handed over for prosecution. So no one is against trying and convicting corrupt judges. We are very much for it. The bar is very strong on this. We want the judiciary to be cleaned up. We want the legal profession to be cleaned up, but we need to save the institution that dispenses justice in the country. We need to make sure that we have a judicial system that is independent of the executive and is not cowed by the executive. So NJC as far as I know has been the best arm of the government in Nigeria at dealing with its own. 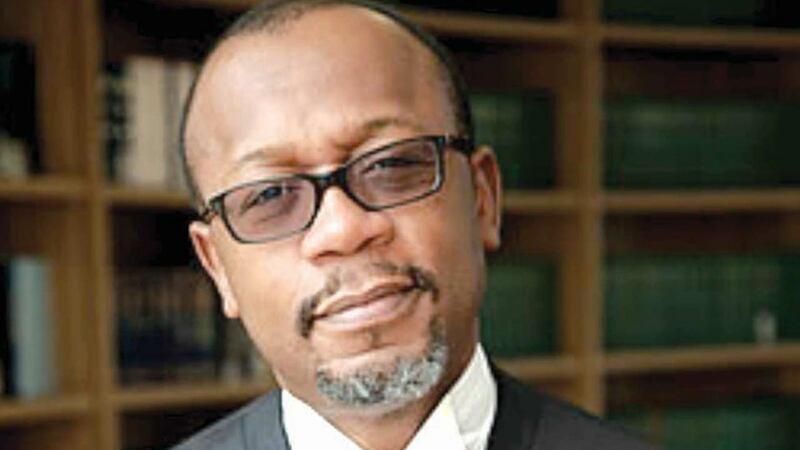 Over five percent of judges in Nigeria have been dealt with. They have been summarily dismissed, disciplined, suspended, or retired early. There is no other arm of government that has done that to its own. But professor, in the last couple of years there’s been increasing talk about corruption in the judiciary. We constantly hear of allegations that some judges have collected massive bribes and the government repeatedly saying that the judiciary needs to be cleaned up. Would you say that it is bad as the picture that has been painted? AJAYI: I think that the judiciary is a reflection of the society, and we do hear of many bad cases and we do know of judges that have been dismissed for corruption and we are all for it. Things are bad. I admit that. Things are bad and corruption must be arrested and nobody must stand in the way of the law taking its course against judges. There is no reason why any judge who is found corrupt should not be arrested like any other thief, should not be put in handcuffs, go through full trial and then put in jail. However, the judge like the citizen must be, one, presumed innocent until found guilty, and, two, must be treated in accordance with the rights that are granted in our constitution. That is all we call for. We cannot afford to destroy the judiciary or the independence of the judiciary in the fight against corruption. You know, this great philosopher, Jean-Jacques Rousseau said that we are all born free but we remain in chains except we have the law there for us.